The Classroom: Personalized, Engaging, Interactive. We believe that students learn best in a creative and personalized environment that encourages expression and interaction. Core classes are capped at 12-15 students. Within these intimate classroom communities, students and teachers develop genuine relationships that form the basis of the learning experience. We recognize that each student brings a unique array of strengths, challenges, interests and skills to their learning experience. We challenge them, give them the help they need and the space to develop as individuals. Our curriculum and instructional programs provide a rigorous course of study that is designed to develop a solid foundation in core academics and prepare students for college success. 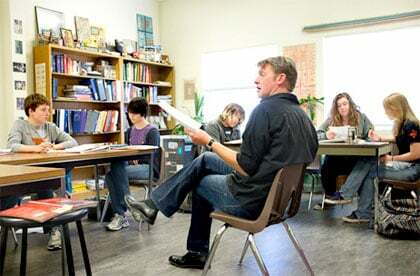 Advanced Placement (AP) programs are offered across the core curriculum and in fine arts, and the math and science classes are just as solid and excellent as those in the humanities. 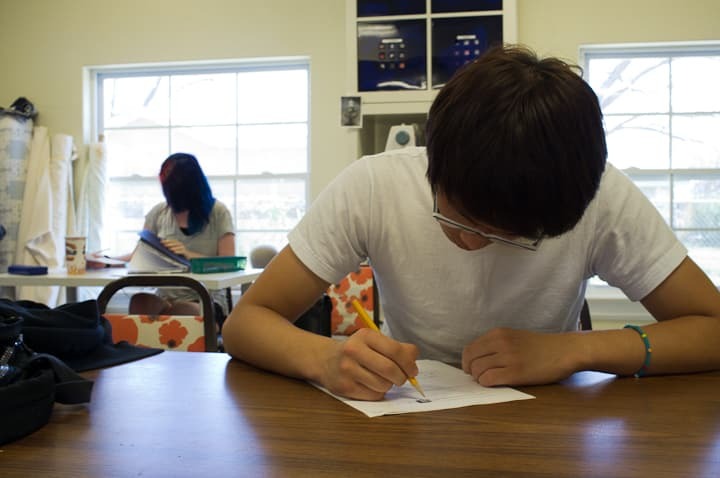 We develop our students’ personal learning and organizational systems, their test-taking skills for the SAT, and we provide them with support in the college application process. But most of all, we develop their logical thinking skills, their clear communication skills, and their creative problem-solving skills. The fine and performing arts shape the experience at the school for our students. 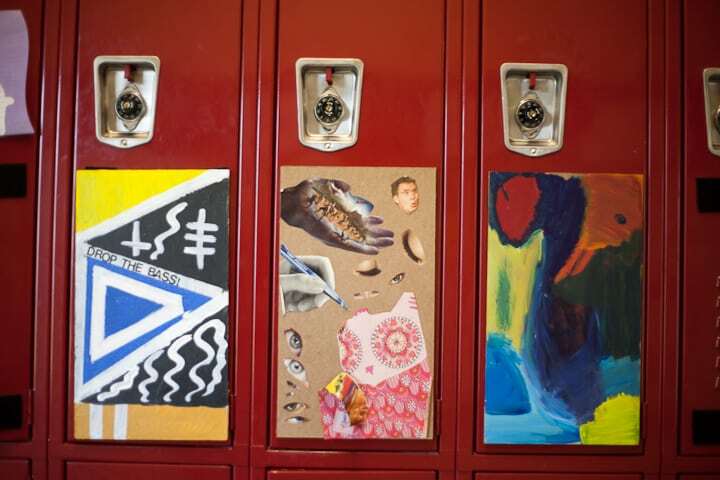 Our emphasis on the arts is evident in the design of the school atmosphere – student artwork blankets the walls of the building and the school bell is music selected by students and staff each day. We offer an extensive and impressive list of course offerings in the arts from Photography to Fashion Design, Songwriting to Digital Music Production, Theatre to Programming. 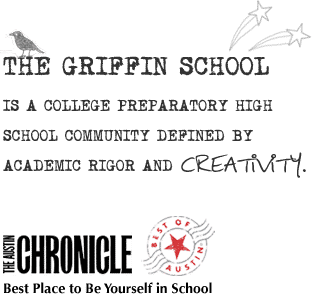 You don’t have to be an artist to be a Griffin School student, but come ready to embrace your own creativity by expressing yourself in whatever medium works for you. We are committed to a diverse and inclusive school community, and we foster and maintain a culture in which each person is accepted, valued, and respected for their individuality. Griffin students learn and live communitarian values: We emphasize social responsibility, and engage all students in school governance, whole school activities, and service both to the school community and to the larger community of Austin. 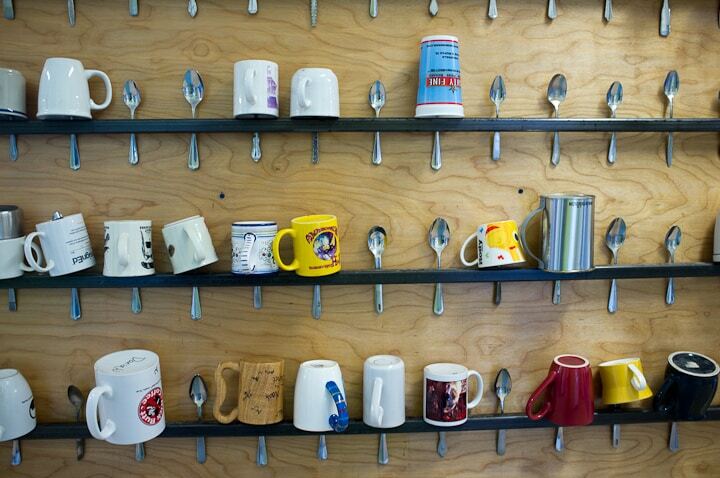 Being an inclusive and engaging community does not just happen because of our size – we work really hard at it!